The payment, which will be matched with Medicaid funds through the Upper Payment Limit program, is expected to be between $8 million and $8.75 million and will be made in the next 30 days, about the same time the hospital district expects to have some sort of agreement in writing, according to district CEO Randall Young. The UPL program is a state and federal program that matches tax payments based on the number of Medicaid patients seen at the hospital and is used by hospitals across the state. “We successfully used it for the last five years to get the hospital where it is,” Young said. The UPL program, which has multiplied district funds by about 2 1/2 times since they began giving money to CHS through the program, is scheduled to go away at the end of the fiscal year next month, Young said. “CHS wanted to take advantage of the last opportunity to run money through UPL,” Young said. Earlier this summer, the district made the last hospital indigent care payment to Community Health Systems, Inc., which began leasing the property from the district and operating the hospital in 2007. The hospital district was required to pay roughly $40 million to cover the cost of indigent care over the 30-year lease, according to Young, who said the district has saved about $2 million paying off the 10-year obligation in five years. 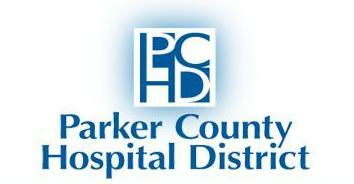 Since the lease program began, Parker County taxpayers have received roughly $70 million in improvements to hospital facilities with no bonded indebtedness, while the tax rate has decreased from 17.5 cents per hundred dollar valuation to 11.3 cents, according Young. The district wanted to take advantage of the government matching program so that more physical improvements may be made to the facility — the details of which will be forthcoming, Young said. Several months ago, CHS told the board that the company had some projects they’d like to do but their costs for Medicaid, indigent, no pay and similar types of patients had gone up about four times, Young said. The company asked whether the board would be willing to make another UPL-matching payment to them so they could make considerable improvements in the facility. Because of the tight deadline for the UPL program, which goes away Oct. 1, they have not worked out and put on paper the details of what that money will pay for, according to Young. They’ve discussed some ideas of what to do with the third floor that is currently vacant, Young said, adding that some people on the district’s indigent care list have had trouble getting into see certain health care specialists and CHS has agreed to solve that issue, as well. The voice of lone dissent about the payment, Floyd has been an elected at-large representative on the board since 2006. He resigned as chief of medical staff at the hospital in 2007 following an issue he had with the parent company of WRMC. At the time, Floyd publicly stated that ER doctor contractual issues were between CHS and ER doctors regarding hospital admittance and financial screening practices, something the hospital CEO disputed. But, his concern over the payment, he said, has to do with what he believes is wasteful spending. “I believe this $9 million payment to CHS from the taxpayers of Parker County was wasteful, unnecessary and unwise,” Floyd said. Additionally, Floyd said he believes there should have been a contractual or written agreement detailing specifically how taxpayers would benefit before the board agreed to the payment. Floyd said he believes it is wrong to voluntarily give tax money to a for-profit company with nothing in writing. The hospital district could have done something of more direct benefit to Parker County taxpayers with that money, Floyd said. Now that the district has fulfilled its obligation to CHS for indigent care coverage for the next 20-plus years, Floyd said he doesn’t think the district needs to give such a large amount of money to CHS. “The first thing we need to be doing is reducing taxes,” Floyd said. Now that the vote is over, he wouldn’t be making an issue about the payment if it wasn’t so large, Floyd said. An $8 million to $9 million payment would be the majority of a year’s worth of taxes for the district. The current year’s tax rate should bring in about $10.36 million, according to information from the Parker County Appraisal District. Since taking over the hospital six years ago, CHS has done needed things for the hospital that the district could not do, such as upgrading the facilities and bringing in more doctors, said Woody, who joined the district in 1994. Using money that has been matched by the government through the UPL program, they recently opened a wing with private rooms, as well as a cath lab that has seen a tremendous response, according to Woody. He added that hospitals across the state would like to be in the position of Parker County. “We did have the money available,” Woody said, adding that they were guaranteed that the money would stay in Parker County. The hospital district board doesn’t want to tie down CHS by saying certain things must be done by certain dates and wants the company to be able to use their best judgement, Woody said. 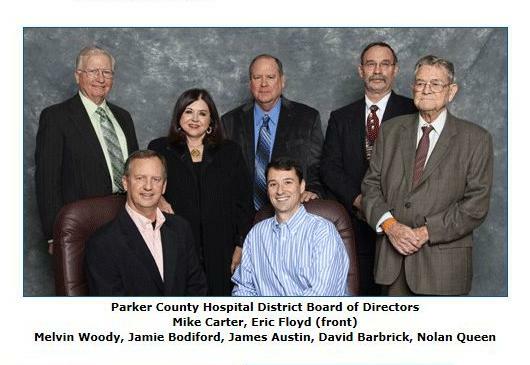 “What is good for the hospital is good for Parker County,” Woody said. At the same time, the hospital will listen to the ideas of the district about what is done with the money, said Woody. “We’re not going to just give them the money and say here it is, no,” Woody said. The two entities have built a relationship and the district has asked the company to do things not covered in the lease contract that have been done, according to Woody. “They’ve done everything they said they were going to do, plus,” Woody said, who added that he’d like to see renovation on the second and third floors of the facility. “Then there’s other things besides that,” Woody said. “I have no idea what can be done. Countryman agreed with Woody’s sentiment — but wouldn’t answer other questions in regards to the payment. Countryman declined to answer questions about what the hospital expected to do with the money or what promises had been made to the board. “The government does not want you doing a quid pro quo,” Young said, adding the hospital district can’t just write a contract for a UPL payment, though there are restrictions on how the money can be used. That will likely happen at the same time as the payment, Young said. “There’s just got to be some trust there that they are going to do what they say,” he said. CHS has met every obligation since the contract with the district began and the company has gone above and beyond as far as recruitment of doctors, according to Young. Because the district has seen five and a half years of efforts and results on the part of CHS, they trust that the company is going to come back and do what they say they are going to do, Young said. So – what is the board thinking…???? Time to dissolve the board and let the hospital stand on its own. Did the board think is was their money to just give away? It was the taxpayers’ money! I would love to know how my tax money going to the hospital is going to help me, because last time my son was taken there by ambulance having seizures, with blood pressure sky high and dangerous heart rate, upon finding out he was un-insured the doctor told me to take him home or to Fort Worth or come up with $500 cash for treatment. Luckily, the nurse was on my side and told me to stay, that my son was in danger and to force the issue. After telling the doctor in no uncertain terms he’s was going to get another doctor to treat my son or I was going to bring the wrath of hell down on him, we did get the treatment he needed. So if my tax dollars are going to the hospital, I want to be able to get emergency treatment!